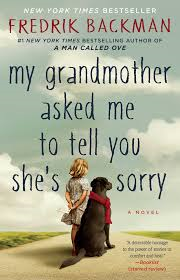 January’s selection will be My Grandmother Asked Me to Tell You She’s Sorry by Fredrik Backman, “a charming, warmhearted novel about a young girl whose grandmother dies and leaves behind a series of letters, sending her on a journey that brings to life the world of her grandmother’s fairy tales. Elsa is different and her grandmother is crazy; this is an ode to one of the most important human rights- the right to be different.” Join us on either Thursday, January 24th or Thursday, January 31st from 7-9:00 PM. Coffee and dessert will be served. Please register online in advance.